Kai Kallio is an Italian Casting Style instructor and our representative in Finland. I was born in Finland 1978. Because of my fathers job I spent few years abroad when I was a young child. After high school I eventually got into a business school and I got my master’s degree in economics. Then I ended to a technical university and I got my second master’s degree in engineering. When I was in the business school I studied one year in Australia. In addition to working in Finland I have also worked one year in the USA close to New York. Currently I am looking for new professional opportunities. I started flyfishing over 20 years ago. I have had three phases in flyfishing. First phase was when I learned by myself to fish for chubs (the fish in the picture). 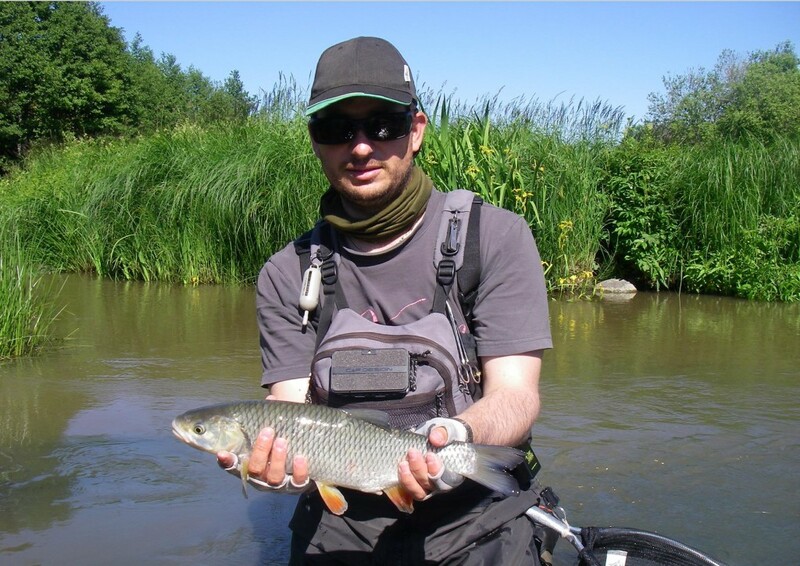 In one point I got interested in flyfishing for pikes and I spend several years on a boat on the Baltic sea. The third phase started the year 2007 when I tried flyfishing competitions and I got seriously hooked. Now I spent most of my free time to become a better competitor. One of my dreams become true at the end of the season 2013 when I got a place in the national flyfishing team of Finland in the European championships. I have always had an open mind towards learning from other people. Very early I had a lesson about flycasting and flytying. Then few years later I had a casting lesson from Göran Andersson from the company Loop. Next I took a course from Antti Sorro who taught Göran’s technique. In resent years I have gone many times to Czech Republic to learn nymph fishing. Now the latest direction is to learn Italian style of casting from Massimo Magliocco and FFM Italy. The Italian style is probably moving me to the phase number four where technical casting and dryfly fishing are becoming more important for me.